No electrical repair job is too small for Bloomfield Cooling, Heating & Electric, Inc.! We are a fully licensed and insured company offering residential electrical services to both large and small properties in Maplewood NJ, and the surrounding communities in Essex, Passaic, Bergen and Hudson counties for decades. Our team consists of licensed electricians who will only work within the confines and the predetermined safety codes. Our years of experience and dedication to providing affordable products and services differentiates us from other local companies. Providing excellent customer service no matter how small or large of a job does not influence the service we provide. We believe that all our clients receive the same “White Glove Treament” that we are so widely know for. 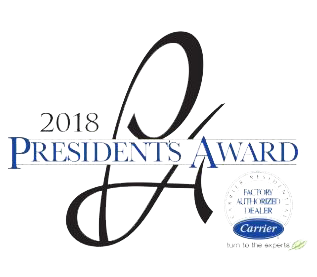 We have been acknowledged by Angie’s List for their Super Service Award in three categories HVAC, Generator and Electrical for ten years in a row. For two years Suburban Essex readers have honored us with the Gold Reader’s Choice Award. We have serviced Maplewood NJ. of many years along with most of communites in the Northern New Jersey area. Our wide range of electrical services includes electrical upgrades, surge protectors, smoke and carbon monoxide detectors installation, indoor and outdoor electrical wiring systems to security cameras and motion detection lighting. Whatever your electrical needs are in Maplewood, NJ. Call Bloomfield Cooling, Heating and Electric, Inc. Our professionally trained customer service representatives will help you with any question and shedule and appoinment with one of our licensed electricians.